This year’s Frankfurt Motor Show proved to be fairly impressive, with a host of big names revealing new products and concepts. Incredibly, this even included cars that hadn’t been previewed in a press release weeks beforehand! Who knew that was still possible? We’ve picked out some of the notable cars making an appearance in Germany. ESM actually spent the first Frankfurt press day helping out the good people at Motoring Research with their live blog. We heartily recommend you go and read it, especially for the Periscope video action from Andrew and Gav. Trust us, you’ll find yourself longing for a special edition Suzuki Jimny or at least learning where not to leave you bag on a motor show stand. 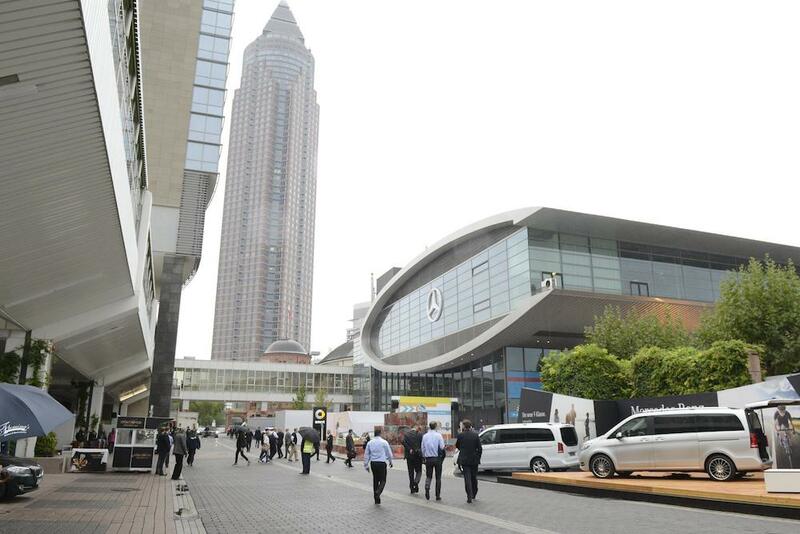 Possibly the biggest talking point of the whole Frankfurt show was the Bentley Bentayga SUV. Promising to be more luxurious than a Range Rover, but with epic performance from a W12 engine, it’s a pretty big deal. To some it’s a step too far for the Bentley brand, and the styling is also equally divisive. However, ESM is pretty sold on it – especially in orange. The Bugatti Vision Gran Turismo is just as mental in real life as in the initial photos – a definite showstopper. Oh, and yes that is a tent on the back of the Citroen Cactus M.
We’d already seen PR photos of the Ferrari 488 Spider, but it’s seemingly even more impressive in the metal. Some even going so far as to say it’s better looking than the GTB coupé. The Hyundai stand was one of contrasts, with the Korean company pushing its new “N” performance sub-brand with the rather mental 2025 Gran Turismo concept, alongside the Santa Fe and i20 Active. Jaguar’s F-Pace stole the pre-show excitement with a Guinness World Record-breaking launch event, whilst the MotoGP-engined Honda 2&4 concept proved to be a winner. The Mercedes Intelligent Aerodynamic Automobile concept was a big surprise, with active aerodynamics that allow it to extend by some 390mm at speed to reduce drag. Expect ideas from that to filter down to road cars in the near future. Mazda’s Koero concept previews a new sporty crossover, whilst the new Kia Sportage certainly has bold looks. Oh, and the Huracan Spyder is just plain gorgeous in either orange or blue. With all-electric power, the Porsche Mission E Concept was an unexpected announcement at the VW Group night. Generating 600hp, and with the ability to recharge to 80% capacity in just 15 minutes, it’s setting the benchmark for future Porsche products. It’s also refreshingly better looking than the Panamera! You can’t help but wonder if Porsche used it to distract from the new turbocharged 911 Carrera, however. The Nissan Gripz is meant to show a future crossover to lure in 370Z owners, whilst the new MINI Clubman looks less like a catfish than the original concept. Which is good. Frankfurt was very much about SUVs, so a new Volkswagen Tiguan can only be a good thing for the German marque. Given how huge the C-SUV segment has become, Volkswagen still seems reluctant to grasp the market fully, although replacing the eight year old Tiguan is a step forward. Styling of the new Toyota Prius split opinion, whilst the Rolls-Royce Dawn managed to look suitably imposing. It’s hard to pick one stand out car from Frankfurt 2015, although the Mecedes-Benz IAA concept and Porsche Mission E concept perhaps deserve equal recognition for truly being adventurous. Whilst we joke about manufacturers revealing everything in press releases weeks in advance, it was genuinely pleasing to have actual surprises on the big day. In terms of trends, the dominance of the crossover SUV in the marketplace is pretty hard to ignore. When even Bentley decides it wants a piece of the action, that makes it fairly obvious how big a deal the demand for a lofty seating position is.